A peek into the Big B's life. Amitabh Bachchan is one of the most photographed celebrities of the film industry but there have been many moments in his life that have remained private. 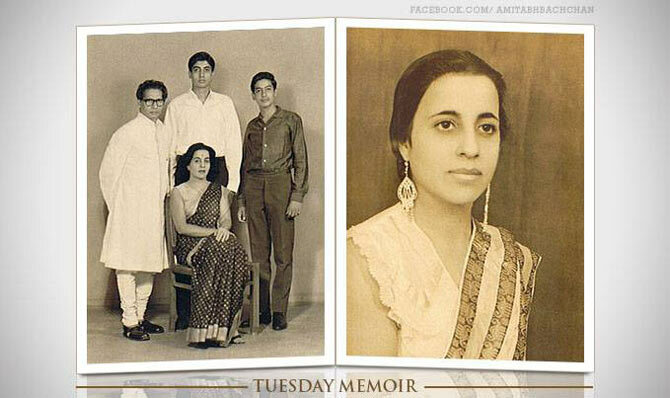 The Big B has shared some interesting unseen pictures from his life on his official Facebook page, with some informative trivia. We celebrate his 72nd birthday on October 11 with these beautiful moments. Amitabh Bachchan gets into superhero mode for his son Abhishek's birthday party. 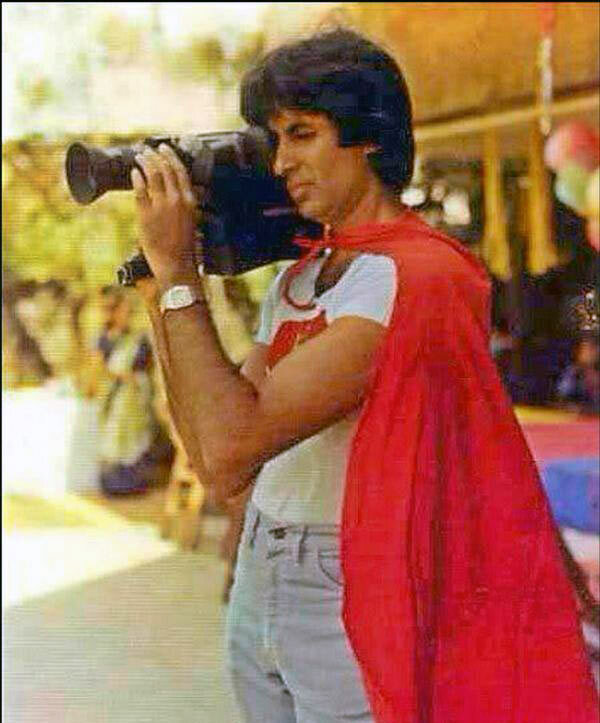 'And this at Abhishek's Superman party in Prateeksha, long years ago ... filming the proceedings .. those days the 8mm camera was a delight .. after filming, it had to be processed, then it could be seen only on a projector .. on a white wall or a white screen .. AND NOW ..shoot on mobile and watch immediate ! !Times they change,' Bachchan writes. 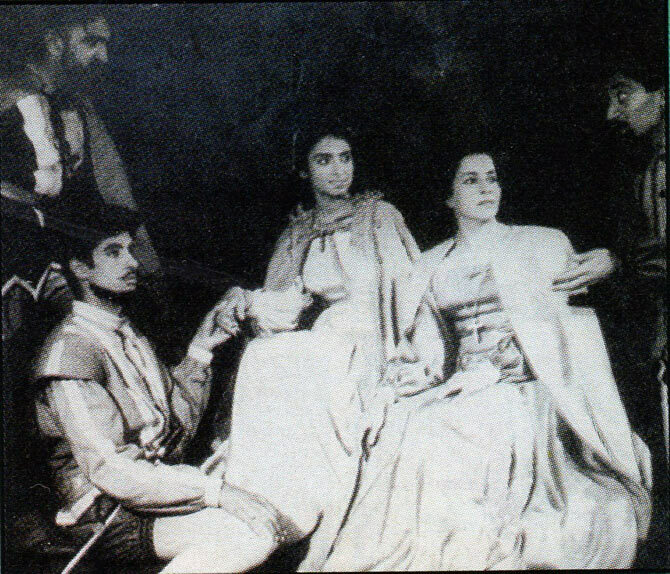 Amitabh writes: 'A picture that speaks much .. it is the Hindi production of 'Othello' staged by us in Delhi .. My Father's translation and Mother and son acting in it. 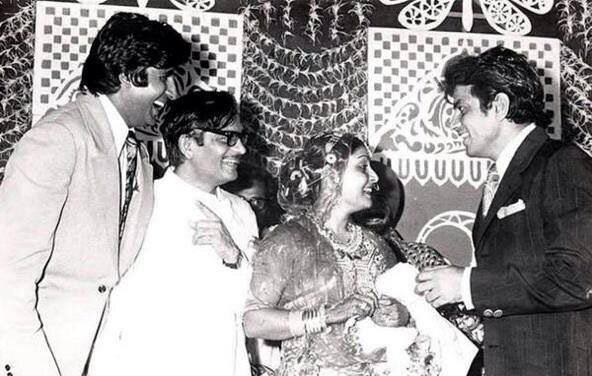 'What an old and memorable picture ... the wedding reception of Gulzar and Rakhee .. and Jitendra cracking us all up,' he writes. 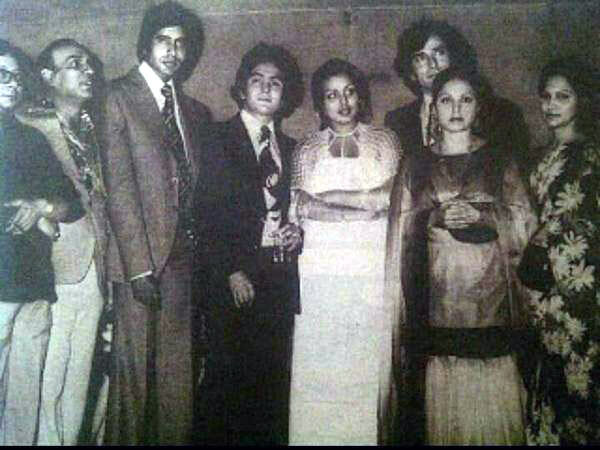 'The premiere of 'Kabhi Kabhi' and what a line up .. those days will never be forgotten .. we shot most of the film in one schedule in Kashmir .. in one month !! 'Yash ji ,RD Burman, AB, Rishi Kapoor, Neetu Amitabh wrote,Kapoor, Rakhee, Waheeda Rehman .. AND ... almost simultaneously Yashji Shashji and I shot 'DEEWAR' .. what contrasting themes and characters,' the Big B writes. 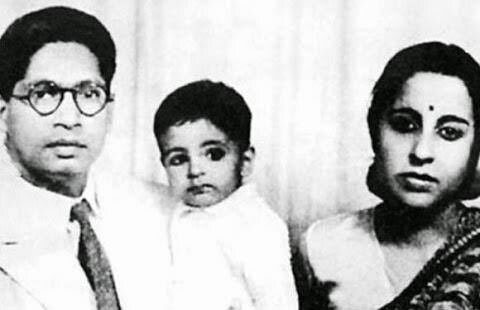 A young Amitabh Bachchan with his parents, Harivanshrai and Teji. 'The jubilee function of Roti Kapda Aur Makaan, my film made by Manoj Kumar ji .. these days there is no concept of jubilee .. its all finished and over in the first 3 days. 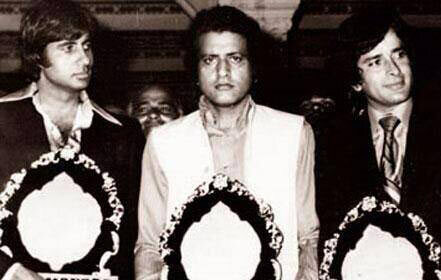 Here a keepsake picture .. with Manoj ji and Shashi Kapoor,' he writes.